I know I haven't been doing quite as many recipe posts lately, so I am excited to share not one but FIVE recipes with you today! I'm sure when someone says "breakfast is the most important meal of the day" it sounds like a broken record, but it really is true! Although I don't always feel super hungry in the morning, I really try to eat breakfast every day because is so good for your energy, blood sugar, and metabolism, among other things. 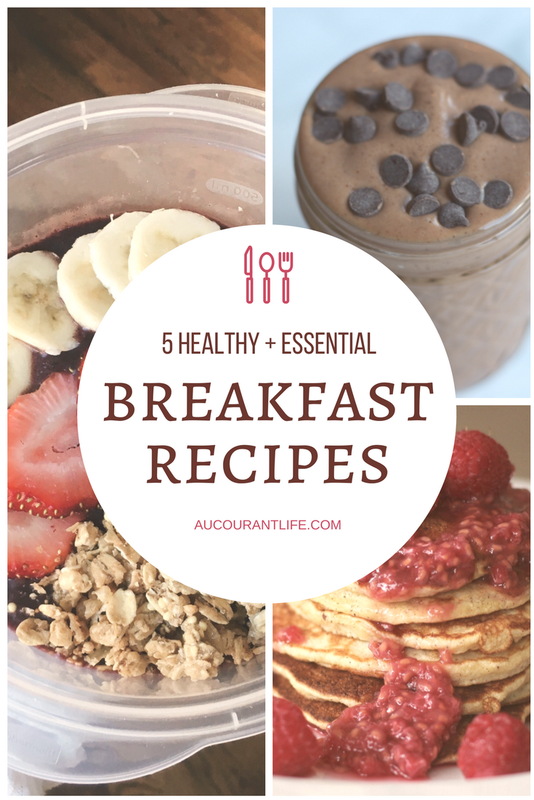 I don't like eating the same things every day, but I do have a handful of breakfasts that have been my go-to for years now!! Each recipe is easy, healthy, and can be adapted with different flavors, amounts of protein/sugar, and even portion sizes all depending on how I feel that day. They require minimal ingredients, and more importantly, minimal effort, making them the perfect breakfast for a student or working person. I hope you enjoy these & would love to know which one is your favorite! This bowl has been my #1 go-to breakfast for a while now. It's so refreshing and I am constantly switching up the toppings. Everyone has their own way of making avo toast, so I'm sharing how I customize mine- it's super simple either way! -Add egg on top & enjoy! I love switching up my green smoothie recipes, but I mostly rotate between two. The first can be found on my blog by clicking the link below! 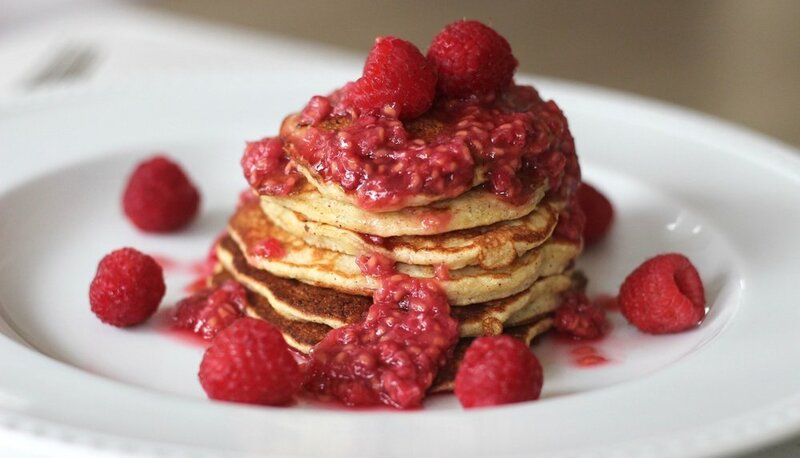 This breakfast is my #1 favorite Saturday/Sunday treat. I look forward to making it all week & I never get bored of it. I love to make different flavors like pumpkin, double chocolate, blueberry, or peanut butter, and each only take a few slight adjustments! I recently shared this recipe to my Instagram story and it has been a huge hit!! 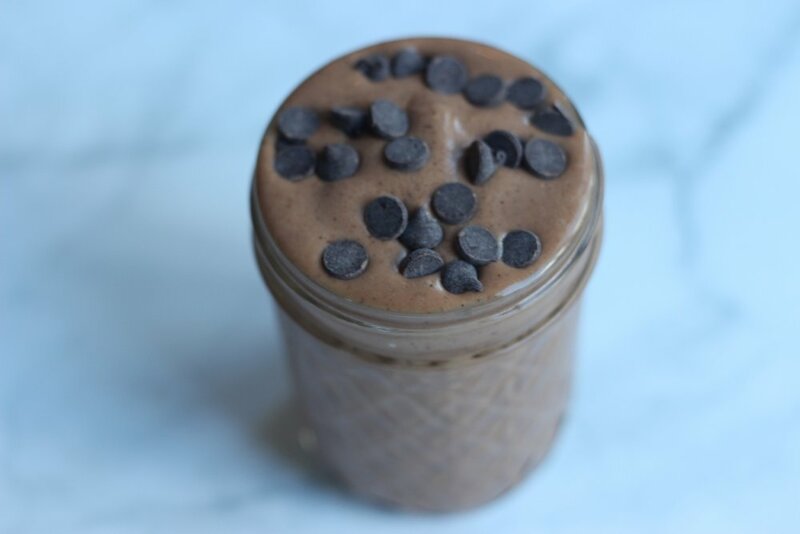 This smoothie is perfect for those intense chocolate cravings. Whether it's breakfast, post-workout, or an afternoon pick-me-up, this smoothie literally never leaves me feeling unsatisfied.